Dr. Levin’s current research and writing are focused on the historical and contemporary intersections of faith and medicine. 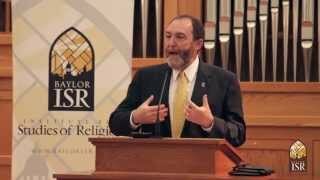 Dr. Jeff Levin, an epidemiologist, holds a distinguished chair at Baylor University, where he is University Professor of Epidemiology and Population Health, Professor of Medical Humanities, and director of the Program on Religion and Population Health at the Institute for Studies of Religion. He also serves as adjunct professor of psychiatry and behavioral sciences at Duke University School of Medicine and as an affiliated member of the Center for Medical Ethics and Health Policy at Baylor College of Medicine. As both biomedical scientist and religious scholar, he is interested in the interface of religion, science and medicine and has been instrumental in broadening the perspectives of researchers and clinicians on the connections among body, mind and spirit. Dr. Levin, who joined the Baylor faculty in the fall of 2009, was the first scientist to systematically review the empirical literature on religion and health, and the first scientist funded by the NIH to conduct research on the topic. 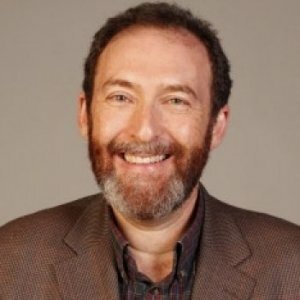 He is a member of the Extended Faculty of the Institute of Noetic Sciences, was chairman of the NIH Working Group on Quantitative Methods in Alternative Medicine and has served on the editorial boards of numerous peer-reviewed journals. He has authored more than 200 scholarly publications, mostly on the instrumental functions of religion for physical and mental health, general well-being and aging. He has written or edited 10 books, most recently “Upon These Three Things: Jewish Perspectives on Loving God." Dr. Levin holds an A.B. in religion and in sociology from Duke University, an M.P.H. from the University of North Carolina School of Public Health and a Ph.D. in preventive medicine and community health from the Graduate School of Biomedical Sciences at the University of Texas Medical Branch. He completed a postdoctoral research fellowship at the University of Michigan’s Institute of Gerontology. His research has been funded by the NIH, the AMA, and private foundations. In 2002, he was elected a Fellow of the Gerontological Society of America. Dr. Levin’s current research and writing are focused on social and epidemiologic research on Judaism and population health; theories of healing and the work of healers; and the role of faith-based initiatives in public health and healthcare policy. "When it comes to dealing with illness, most Americans turn to a higher power for help, a new study suggests. 'Outside of belief in God, there may be no more ubiquitous religious expression in the U.S. than use of healing prayer,' study author Jeff Levin said in a Baylor University news release. Levin is the director of the program on religion and population health at Baylor University in Texas..."
"A new study released Monday reveals that a vast majority of Americans turn to their faith during a health challenge. Nearly nine of 10 Americans have relied upon healing prayer at some point in their lives, praying for others even more than for themselves, according to a study by Baylor University epidemiologist Jeff Levin..."